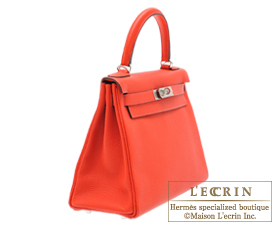 New colour from Hermes 2014 Autumn Winter collection, Rouge Pivoine, refers to “Peony” in French. 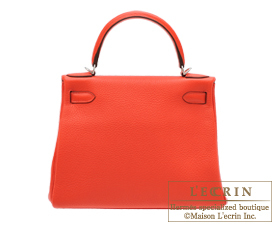 Kelly, a bag with a beautiful structure which exudes an aura of grace. 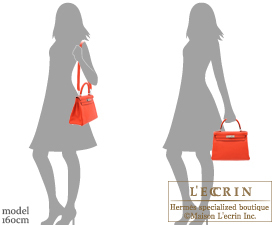 No matter which angle you look at this bag, you will see an impeccable and iconic structure, thus making it one of the most coveted and sought-after bags that every woman wants. 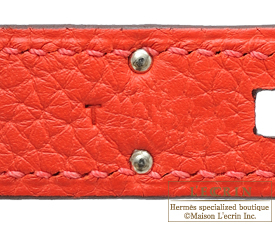 Hermes introduced its 2014 annual theme called Metamorphose. The company's ethos was constant change, searching incessantly for ideal beauty through colours, hence their relentless spirit to constantly create amazing colours such as Rouge Pivoine. A field of beautiful bright red peonies in full bloom - without a doubt everyone will be enthralled by its beauty. 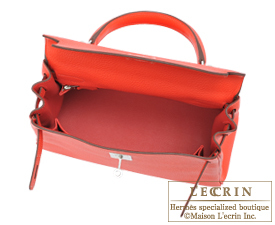 The beauty of the Clemence leather is that it develops a character as it ages and after usage. 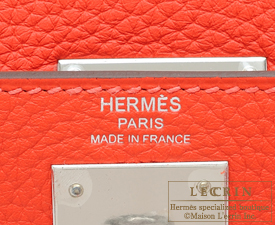 This leather is an epitome of premium quality with its delicate finish and serves to accentuate a look which is reminiscent of femininity. 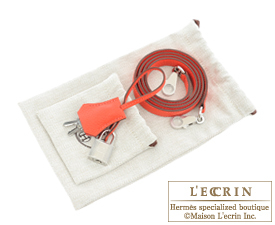 Savour the soft and pliable texture of the Hermes leather and discover how this durable grainy leather is also a hardy material as it is resilient to scratches and dirt even when used daily. Add a splash of colour to your wardrobe with this vibrant colour that is named after flowers - just like Bougainville and Capucine.